Given that Jordan’s immediate neighbours include Syria, Iraq, and the West Bank, it’s hardly surprising that potential visitors to the country worry about the safety and stability of the region. However, despite the local political tensions, Jordan is not only a safe country but a truly fascinating and welcoming one too. I had an amazing time exploring this stunning place, and was charmed by the friendliness of everyone we met as much as I was wowed by the diversity of the landscape. With tourism contributing over 10% of the kingdom’s GDP, it’s vital that people across the world know that Jordan is an oasis of calm in the Middle East, full of proud people waiting to show off their beautiful country to you. This is a road trip I took with my family around Jordan in November. We only had five full days and packed a lot in! There are details of our route below, with links to individual posts I’ve written about each place. 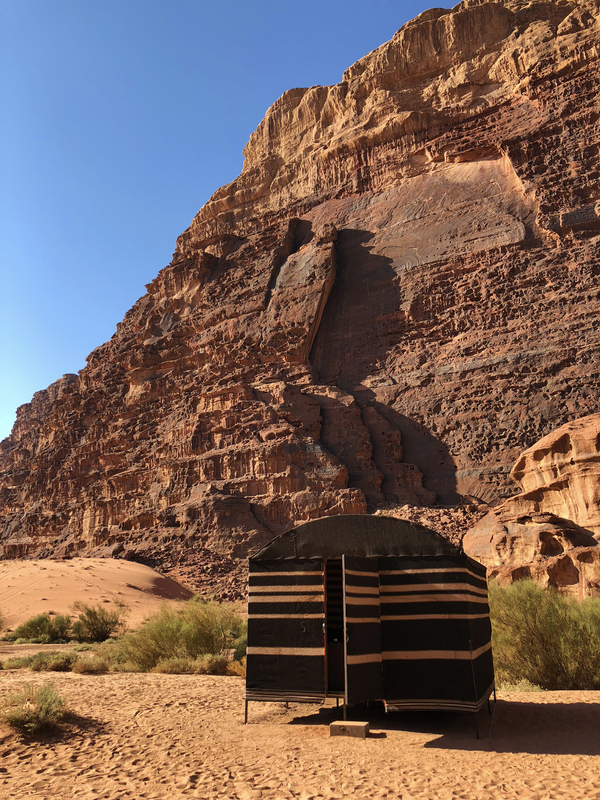 If you have more time to spend, then spend it in Petra and Wadi Rum – they are two of the most breathtaking places I have ever seen. There are also places which we didn’t get a chance to visit. Based on what others have told me, Jerash, one of the best-preserved Roman provincial towns in the world, is worth at least a half day trip, while Aqaba in the south is a fantastic diving destination. There are a range of agents offering to plan your whole trip for you – the route, a driver, accommodation, tours – but a little research (and hopefully this blog post!) will save you hundreds of pounds. Before I get to the details of the road trip route and how we organised it, there’s a few things to be aware of before you go. The Jordan Pass – This pass allows you to sort your visa requirements and entry fees into some of the key tourist sites before you leave home. Basically, if you need a visa and you’re going to visit Petra, you’ll save money buying it. There’s a few different options depending on your plans – more information here. Entering Jordan – There’s no landing card to fill out but there are a lot of questions at passport control. Make sure you have details of where you’re staying and what your plans are to hand. I didn’t, and an unfortunate set of circumstances came together (my British passport, Australian job, travelling in from Dubai but not staying in a hotel there, and no other ID) and saw me ushered into a smoky room for a one on one interview with a man in a brown leather jacket, which I found more than a little intimidating. Luckily, after a few stern questions from him (‘why you come to Jordan?’), and wobbly answers from me (‘to see your lovely ancient city of P-P-Petra), the complications were cleared up and I was on my way. Jordanian SIM card – Once you’ve collected your bag and come through to arrivals, look out for the Orange Mobile stand to the right of the exit. For 15JD you can get a sim with unlimited local calls and texts, some international minutes, and 3GB of data. (The same deal but with 20GB costs 30JD). Having access to google maps and contact with our driver whilst out and about was really helpful, and our various hosts appreciated us being able to provide up to date arrival times. Carry small change and plenty of tissues – Almost every bathroom we used had an attendant to pay, and if you end up spending the equivalent of a quid a go your toilet trips can really rack up. The standard situation in Jordan is a small water hose to clean with, so if you prefer toilet roll make sure you’ve got some in your bag. You’ll probably be grateful for some hand sanitizer too. Cash is preferred – Most places do take card, more than we expected, but plenty of places (including hotels, our Wadi Rum tour and our driver) will expect cash. Make sure you budget before you go and don’t expect to find ATMs outside of the cities. Always make sure to look at the most up to date travel information before you go. You can’t really rely on public transport, so if you want to get around Jordan you will need a car. It’s possible to rent your own, but after seeing some quite frankly insane driving – apparently Amman doesn’t have traffic lanes – and random police checks I’d highly recommend hiring a driver who is familiar with the local traffic laws (or lack of them). We organised our drivers through Omran Brkawi and he was excellent. He was very patient whilst trying to help me finalise the itinerary, and answered all of my (many) questions. We had one main driver, Mohammed, and a couple of others for our airport pick ups and drop offs. All were reliable, punctual, and knowledgeable. Omran was really attentive throughout our time in Jordan, checking in to make sure all was going OK and helping us if we wanted to alter any plans. We’d definitely recommend him. You can get in touch for a quote via his website, send an email, or just WhatsApp him on +962 7 9142 9652. We arrived in Amman late in the evening, stayed overnight, and spent a full day exploring the city’s highlights including the citadel and the amphitheatre. We stayed a second night but if you are pushed for time and taking the Desert Highway to Petra then you could leave late in the afternoon. The Queen Alia International Airport is 20 miles south. Read more about our time in Amman here. If you are in a rush, you should take the modern and relatively straight Route 15, better known as the Desert Highway. It will get you from Amman to Petra in around 3 hours. However, to take this road means to miss out on seeing original fragments of the Mosaic Map of the Holy Land, Moses’ resting place at Mount Nebo, Kerak Castle and more. My advice would be to take the scenic route – the winding drive through valleys and over mountains is worth your time alone. You’ll need the best part of a day though, as the drive takes nearly six hours without stops. Read more about our King’s Highway drive here. The ancient city of Petra has to be seen to be believed – and the scenes filmed here for Indiana Jones and the Last Crusade don’t count! Truly one of the wonders of the world, Petra is not to be missed. Find out how to get the most out of your visit to Petra here. The drive to our next stop, Wadi Rum, took about two hours. This place is absolutely spectacular. Stay overnight in a Bedouin camp, watch the rocky mountains glow at sunset, and you’ll quickly realise why the directors of films from Lawrence of Arabia to The Martian chose to set their stories here. Click here to find out more about a great family run business which will make sure your trip is spectacular. Aqaba is less than an hour away but the drive to our next stop, the Dead Sea, took just less than four hours. 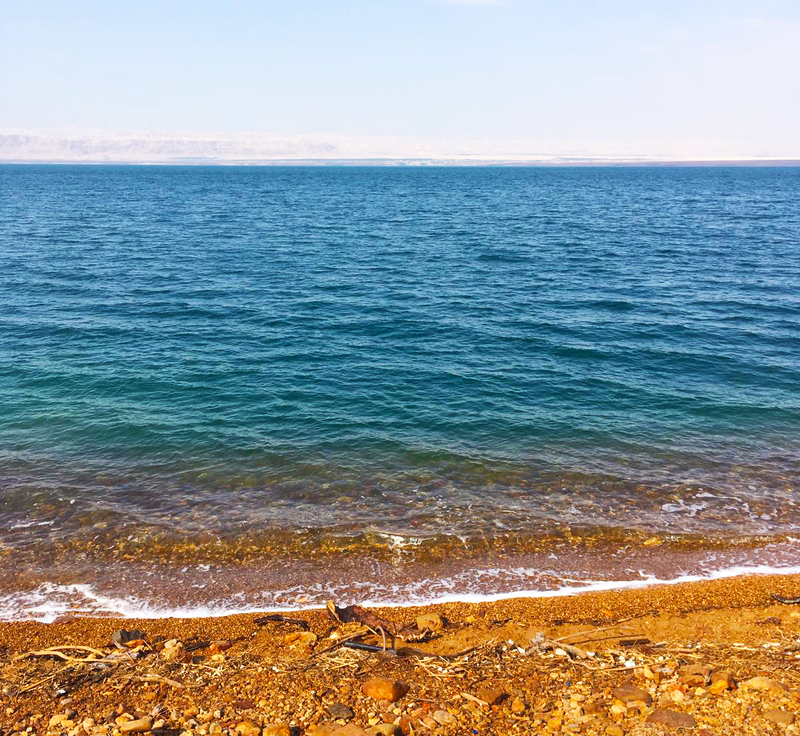 The Dead Sea, the lowest point on earth, sits between Jordan and Israel. The high salt levels allow you to float in quite a surreal way, and of course the mud does wonders for your skin. Find out about the affordable resort hidden between the Hilton and the Marriott here. We went directly from here back to the Queen Alia International Airport, which took about an hour. Our first stop was Amman. Read that post here. 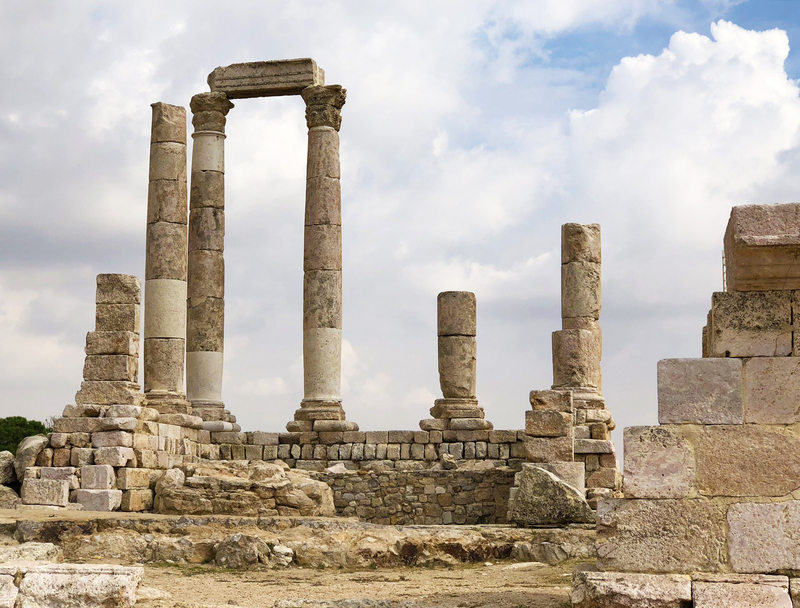 To find out more about visiting Jordan, head to the Jordan Tourism Board’s website.